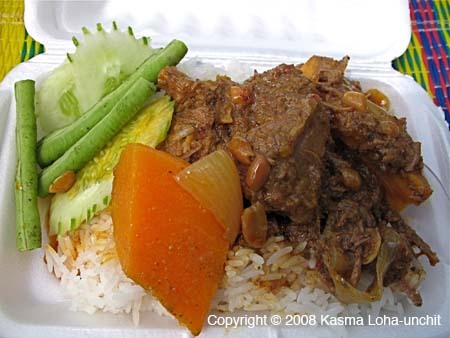 Lunch Box of Massaman Beef Curry: Lunch Box of Massaman Beef Curry with Sweet Potato (Gkaeng Massaman Neua). Kasma teaches a Massuman Curry with Chicken in Beginning Series (class 1). She also teaches a Massaman curry recipe with lamb Advanced Series Set D (class 4).